Mr. Noyes donated the 90-acre Richard A. Noyes Sanctuary at Nine Mile Point on Lake Ontario to Onondaga Audubon in 1975. The sanctuary can be enjoyable at any time of the year, but spring is usually the best time for a visit. In early April, migrating owls may roost during the day in any of the pine plantations and persistent birders may find Long-eared, Northern Saw-whet and possibly Boreal Owls. By late April, sparrows, juncos, kinglets and creepers are migrating back and birders should check the edge of the sanctuary along Nine Mile Point Road for Fox, Field, Song, White-throated and Chipping sparrows. House wrens and Winter Wrens are also possible finds. As spring progresses be on the lookout for kinglets, and a variety of thrushes. 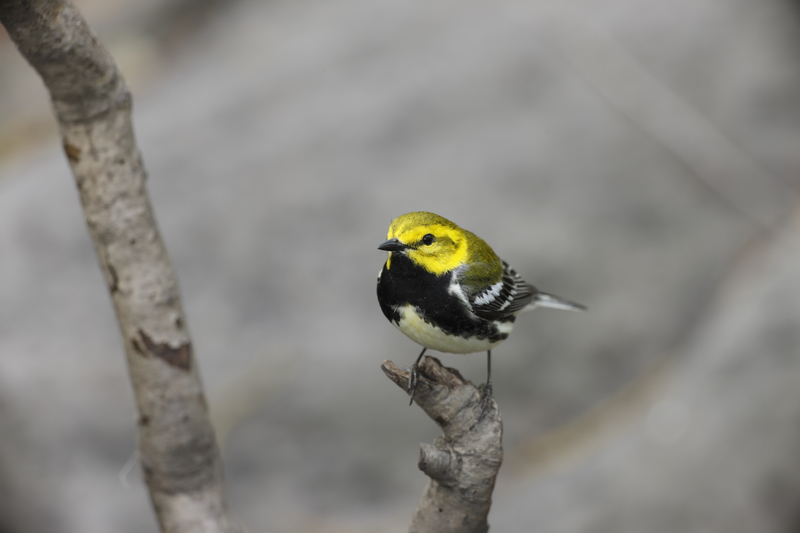 Migrating warblers, vireos and flycatchers can make for spectacular birding in May. Spring and Fall walks along the lake shore and scanning from several spots along the trail you may find Caspian Terns, Double-crested Cormorants, Common Loons, Horned and Red-necked Grebes as well as a variety of waterf owl. In summer, the sanctuary is home to many resident species and a visit is always rewarding if you can tolerate the insects. Bug repellent is a necessity from early May to the first frost as blackflies, then mosquitoes, make their home at Noyes. In the winter the sanctuary provides the cross-country skier, and snow shoer with the opportunity to study the tracks of deer, snowshoe hare, coyote and if you are lucky see them. In winter one may also find scoters, Bufflehead and Common Goldeneye when scanning from the lakeshore trail. At all times care should be taken when walking near the bluffs as they are severely undercut by wave action. Walking there is dangerous. The bulk of this description is taken from the chapter publication City Cemeteries to Boreal Bogs. Mary Alice Koeneke wrote the chapter on Noyes in that publication.